So, this is my fun new project, one I could not pull off with children in the house. Extreme diet = extreme self-absorption. I'm ordinarily a fan of the Weight Watchers Flex Plan, which is sane and effective, but I can do that any time. Not so a low-carb regime with a rigid meal plan. Everyone talks about low-carb diets and I was curious. Strange how not-hungry I feel on the morning of day #2. I don't feel good, but I don't feel hungry. The prescribed breakfast: "liquid egg substitute" and Canadian bacon. Liquid egg substitute. I won't eat that, am going to substitute a small amount of scrambled tofu and hope it doesn't throw off the chemistry. What I really want is a bowl of cherries, but fruit is forbidden. The chickens got the last of the cherries last night. A chicken picks up a single cherry in her beak, runs off, and all the other chickens chase her around trying to steal that cherry, even though there are twenty more cherries lying on the ground. Stupidity or playfulness? everything you say about these chickens increasingly makes me think they're just high schoolers. the two underachievers hanging back in the henhouse together (smoking?). the adolescent cherry envy. forget the secret life of bees. 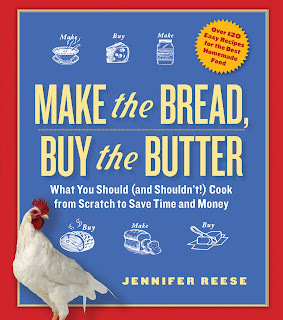 i want to know more about the secret life of chickens! and what is "liquid egg substitute" anyway? one more question: now that the kids are gone, what will you be watching on tv? repeats of friday night lights? or obscure french films? indochine? what? They're such high schoolers, those hens!!! I tried to clip Alberta Einstein's bangs today so she might see better and keep up with the mainstream, but she had a TANTRUM. It's her life, I said with a sigh, and let her flutter off in the wrong direction. I watched a Romanian movie about an abortion last night. It was fantastic, if incredibly grim. Don't know about liquid egg substitute. The whole idea is repulsive to me. 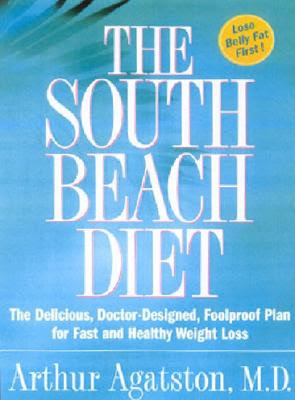 I am fascinated to hear your account of the South Beach diet. I've thought about doing the low-carb thing before, but I just don't think I could give up sugar. Giving up bread/pasta/rice would be fine (well, a struggle, but ultimately it would be fine), but no fruit or chocolate? Can't do it. Hmmph. I disapprove of weird diets and all their dark works. Anything that advocates the use of simulations over real food is indefensible and flawed at its core. Everybody say hi to me, the wet blanket! i think i'm with you layne. that's what i was getting at with the not-so-subtle "liquid egg substitute" question. i predict some kind of alcohol episode puts the bullet in this ill-advised bent. after all, she is the "tipsy" baker. Oh Layne, you clearly haven't tasted a packet of Truvia whisked into a bowl of part-skim ricotta. You don't know what you're missing. We're talking about a week. C'mon. It's cultural research. I will allow it on the grounds of journalistic research. But I think you should promise me that you'll do Nourishing Traditions next, or something equally crunchy and Michael Pollan-approved. Of course. I revere Michael Pollan. I'm just studying the enemy. God save me from my friends, I can protect myself from my enemies.